Positive vibes are overflowing in Cape Town lately, and so is the rain into our dams. We can never get enough of it and for the first time in years, water levels are sitting at an all-time high. Going into what will most probably be the hottest Spring and Summer seasons, residents have been urged to still practise extreme caution in water usage, even if restrictions have been eased a bit. Coming off the back of a wet Sunday evening, the dam levels are currently sitting at 70%. 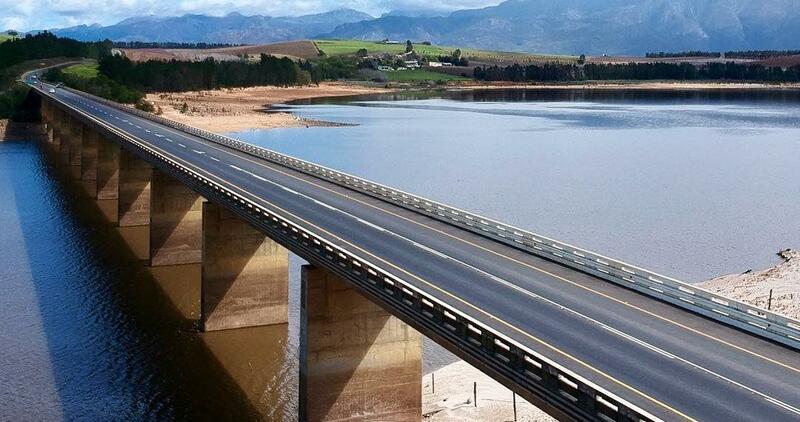 Each dam plays a vital role in supplying the Western Cape with water so the drops in capacity at Berg Rive and the Steenbras dams does cause a bit of a concern. However, these losses in water are largely minimal and the dams still maintain a healthy capacity, well above the 85% mark. Theewaterskloof continues to flourish with the rain. Once again, it has seen a little bit of growth in capacity since Thursday’s midweek report. 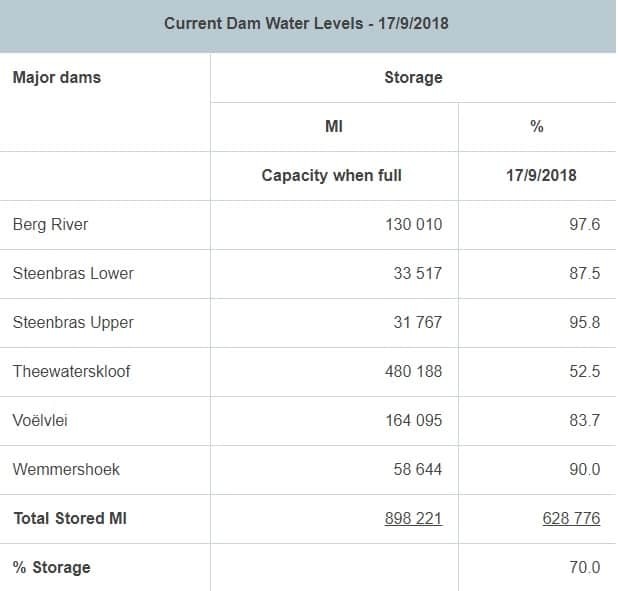 Voelvlei and Wemmershoek also saw steady increases and at this point, we need just about everything to tow the water levels over the 70% mark. We won’t need to hold our breath for long because the rain is set to continue in Cape Town, at least until Wednesday. It’s predicted that some parts will have 50mm showers. It can only be assumed that by the next midweek water level update, Cape Town dams will be sitting in a healthier state. The dry season can come now, Cape Town is more than ready to use water wisely.